Let's get it right: Not much is expected from the Arizona Diamondbacks this season. After a season's breakdown that cost them a playoff spot last year, D-backs lost more of their best players to release agency (AJ Pollock, Patrick Corbin) or via trade (Paul Goldschmidt) in the offseason. Most experts believe that this year's team will finish the year under .500 and well beyond the playoff image. 5 team as D-backs are preparing to open their regular season at Los Angeles Dodgers at. 1:10. Thursday. The D-back will be able to reverse the storm of offseason departures if their starting rotation is collectively pitched as well as it is capable. 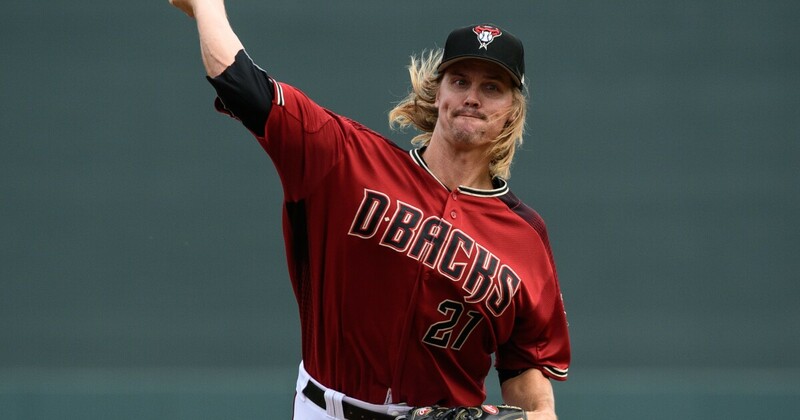 Zack Greinke would still have a season ERA in the 3-3.25 series – and if the 2017 versions of Robbie Ray and Zack Godley reemerged, and Luke Weaver (Goldschmidt-acquired) pick up where he relaxed in Cactus League games (1.04 ERA), D-backs could be a formidable club defensive. I also like how the D-backs & # 39; bullpen looks like going into the normal season. They made some additions by pulling ineffective closer Brad Boxberger going and replacing him with Greg Holland, a three-hour All-Star who was supposed to shake a bad spring. Strong installers Archie Bradley and Yoshi Hirano are back with reliable, leftist Andrew Chafin. It was a tough offseason for Diamondbacks when they lost important players with Goldschmidt being treated for Cardinals and Corbin and Pollock leaving the club in a free office. In the end, I think the team's inability to replace the production this trio brought in recent years will haunt the D back in their 2019 campaign. who has been sidelined with a seasonal injury.